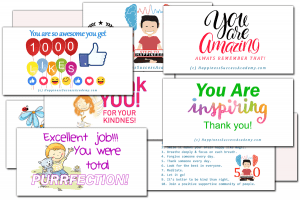 Get Happy Cards Get Happier Now | Happy Cards - Happiness & Kindness Cards! I FOUND THE SECRET TO FEELING AMAZING! Do you want to feel really good? Kindness and gratitude is the key to happiness! CARDS AWAY EACH DAY! THAT’S RIGHT! YOU SHARE A CARD WITH OTHERS. in the world then I know you will love them. Why? Because kindness and gratitude reduces stress. Giving Happy Cards out trains our brains to look for the good in people and our life and that is very powerful! GET YOUR FIRST HAPPY CARDS FREE! Plus get two powerful bonus gifts. When you order your cards below you’ll get 30 assorted beautiful Happy Cards sent to you each month. Join us in this experience of shared happiness and we are confident your life will change and together we can change our world! These may seem like small unique thank you cards but they are much more, they are Happy Cards! The first month of getting Happy Cards is FREE! 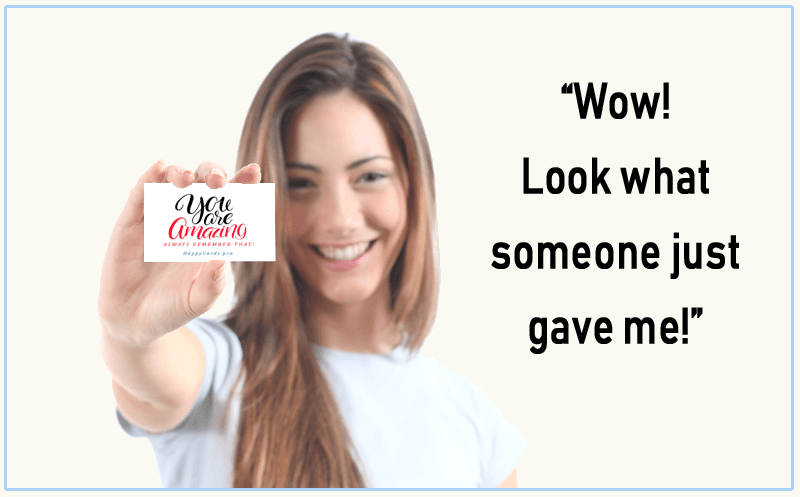 After that we will send you 30 cards a month so you can find one person every day to share a moment of kindness and appreciation with. And we want you to have these two awesome free bonus gifts too because they are designed to help everyone create happier more successful lives and that is our core mission here! GET YOUR FREE AFFIRMATIONS BONUS BOOK WITH YOUR FIRST SET OF HAPPY CARDS! I wrote these affirmations and this book about how to make them work because my inner critic was working overtime making me miserable. I was being harder on myself than anyone I know. Until I found meditation and spent a long day asking my higher self for guidance. The inspiration that followed resulted in my writing out these 31 affirmations and this book. It’s helping me and others and I hope it helps you too! 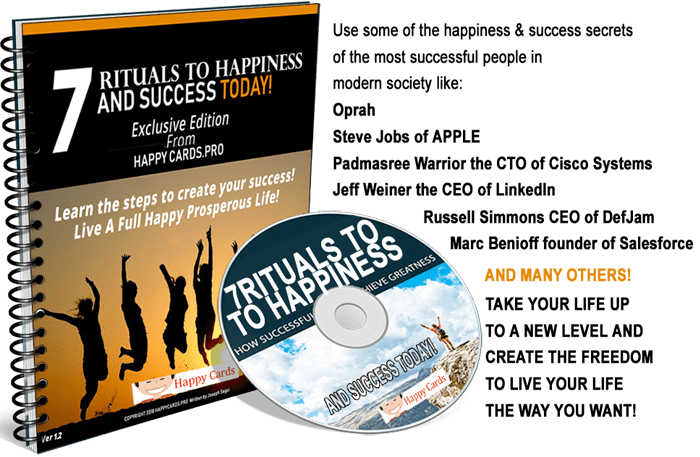 GET YOUR FREE 7 RITUALS TO HAPPINESS & SUCCESS BOOK FREE WITH YOUR FIRST SET OF HAPPY CARDS! When you watch the movies below I’ll share my quick story about how I found a way to feel more alive and happy every day. This site is about my open invitation for you to get that experience too. Whatever you do, I wish you great happiness!